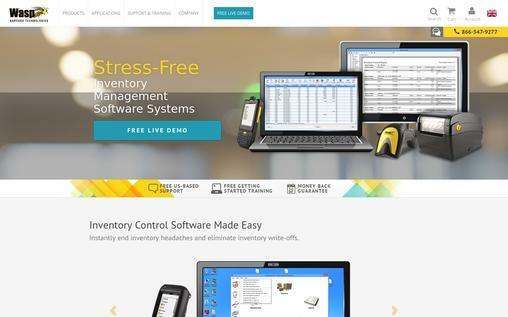 Are you looking for some of the best inventory management software? Keeping track on inventory is an overwhelming work especially when your inventory is constantly moving in and out. Luckily, inventory management software helps you to efficiently track and manage your inventory allowing you to concentrate on the growth of your business rather than worrying about your inventory. But the question that comes to mind is which one is the best choice? To instantly end your Inventory headache, we have compiled a list of 10 of the best inventory management software that will simplify inventory management for your business. Inflow is a stand-alone inventory management software designed for SMBs (small and medium sized businesses). It needs to be downloaded and installed on your computer. This software helps to track inventory, reorder stock, fill customer orders, generate invoices and purchase orders, and customized reports. You can easily organize the products with prices, images, and categories. 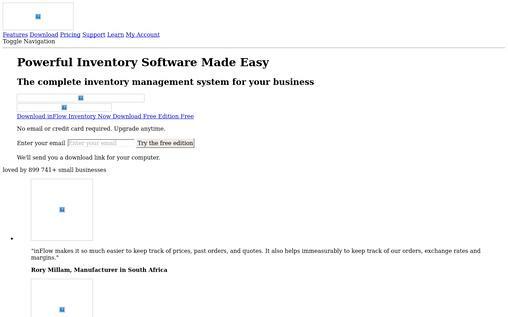 The entire history of inventory movements can be tracked with this software. It can handle more than 10000 products without any problem. It is compatible with most of the barcode scanners. Inventory can be tracked in multiple physical locations. It gets deducted automatically as you enter orders. Offers Live chat, phone and email support along with online forum and knowledge base. There are three different plans starting with Free Edition which is always free. It offers a 45-days money-back guarantee. 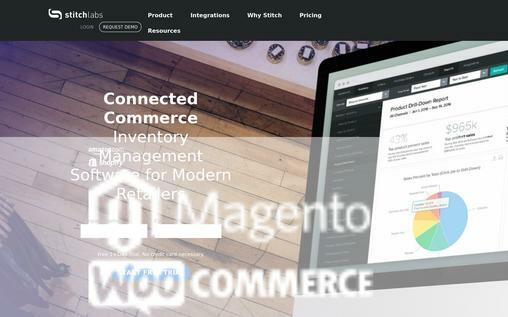 Stitchlabs is a well-known name in online inventory management providing simple but powerful tools to simplify your eCommerce and inventory management operations. With Stitch you can keep a track of inventory from a centralized location, inventory sold in one channel gets automatically deducted from all channels. Also, you can add the new product to all sales channels from the central repository. This saves you from the hassle of inventory management for each individual channel. It is cloud-based so you can access it from anywhere and control inventory in real time. Integrates with multiple sales channels like Amazon, Shopify, eBay and Etsy. It also integrates with PayPal, ShipStation, and QuickBooks which make payments, accounting and shipping much easier. Stitch is SSL-encrypted to protect your data. It offers more than 30 types of reports. The pricing plan starts at $99 per month. You can take a free trial of 14 days. 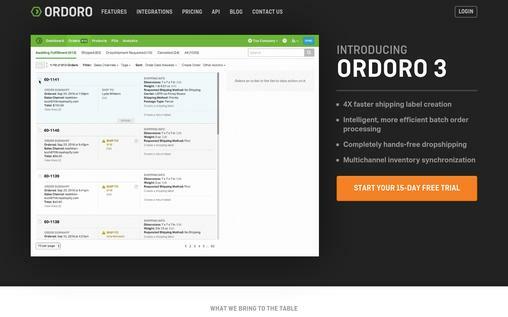 Ordoro is an award-winning web-based software for small to medium-sized business. Provides an easy and simple user experience. It offers a powerful centralized platform to efficiently manage and track inventory levels from all locations. It helps you to manage the whole process, from ordering to shipping, while tracking your inventory levels at all locations. Sync your inventory across all the sales channels. It helps you to avoid overselling. It integrates with popular channels including Shopify, Amazon, BigCommerce, eBay, Etsy, Magento and WooCommerce. For accounting, it integrates with Intuit Quickbooks and Xero. Send purchase order for restocking. You can easily export inventory data into Quickbooks or CSV. Ordoro can be accessed from anywhere in the World. You can ship up to 100 orders at a time. Plex Inventory Management is a cloud-based software that helps you to manage a large amount of inventory, track inventory in real time, automate inventory tasks and much more. It automates inventory tasks related to both customer and in-house, using scanning, barcoding, mobile devices and other technologies related to inventory. Further, it offers features like traceability and genealogy which helps the user to know what’s on hand and available to use at any moment. It records the inventory transaction automatically. Capture incremental data automatically with the integrated scanning feature. Both discrete and process manufacturing activities can be tracked easily. Get an accurate inventory count using scanners and other compatible mobile devices. Both upstream and downstream data are available to analyze and draw a conclusion about inventory needs and future sales. You can create and print labels automatically. 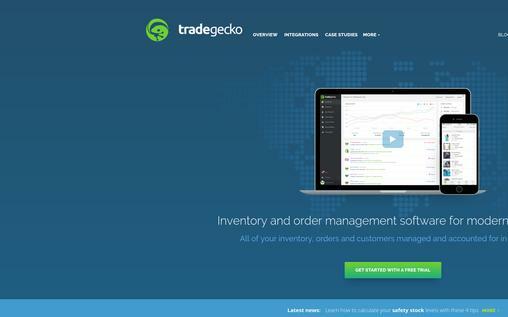 TradeGecko is a cloud-based inventory management tool designed for retailers, suppliers and wholesalers. It aims to make eCommerce less troublesome by streamlining complex processes. Moreover, it provides some amazing features like updating inventory levels automatically when purchase or sales orders are generated, preparing reports, and multi-channel eCommerce integrations. Connect your online or offline sales channels with TradeGecko to manage your inventory, sales, and purchase in one system. Integrates with accounting software like Quickbooks Online or Xero to manage your accounting. It integrates with sales channels like Amazon, Shopify and more. Offers real-time reporting and analytics. Helps you to efficiently manage multiple warehouses. TradeGecko mobile is available on iPad, iPhone and Apple Watch to use it on-the-go. The basic plan starts at $99 per month. 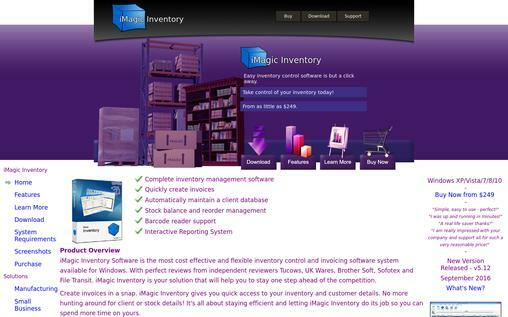 iMagic Inventory is an effective and flexible inventory management software for Windows that offers detailed features for tracking inventory. It helps you to quickly create invoices, access to your inventory and customer information. Plus, it is great software for small business with a physical store in multiple locations that are handled by several employees. This software allows a lot of details, such as notes, images, and sub-categorization. It is barcode-scanner compatible which allows you to easily add or subtract products. Integrates with multiple businesses, means your employees can access this software from any location. Also, you can restrict individual users to specific parts of the software to keep your information secure. Reorder management and stock balance. You can view your inventory status in real time. It offers 30 different reports. Wasp Barcode Inventory Control is an inventory management software designed to cater to the needs of small business. With this software, you can add barcodes to your products, track out of stock inventory, get notifications, reports, audits and much more. Easy to track your inventory by location, site, serial number, date, a lot, or pallet. Alerts for low inventory, expiring items, past-due items and more. It offers more than 60 reports. The integrated barcode labelling allows you to barcode your products and scans barcodes with mobile devices. You can automate the check-out and check-in of assets to suppliers, customers or employees to stop misplacement of assets. 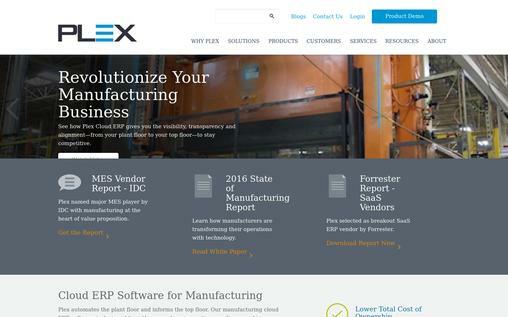 Manage supplier, vendor, and manufacturer information. You can conduct audits on a mobile computer to track your inventory and quickly do cycle counts. 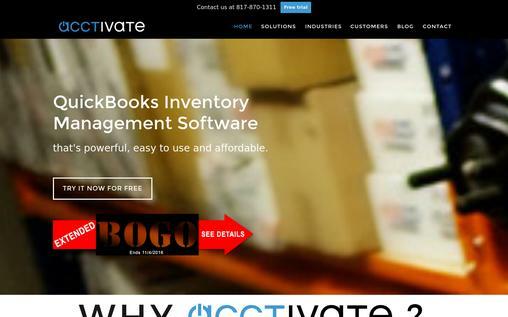 Acctivate inventory management software is an ERP system created for small to midsized businesses. This feature-rich software is powerful, easy to use and affordable. It is the best software for Quickbooks that offers inventory control and, business and customer management tools. It integrates seamlessly with Quickbooks, Intacct for accounting. Integrates with leading shopping cart providers including, Shopify, Magento, BigCommerce and EDI translation software. This software is available both in the cloud and on-premise. It can handle the unlimited number of staff (virtual) on the system. You can track and monitor issues, projects and events from a centralized system. Gives you real-time visibility into key data. 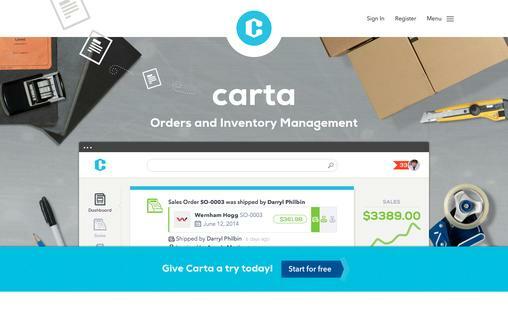 Carta is a cloud-based order and inventory management software designed with small and medium-sized businesses in mind. It helps you to track orders, manage stocks and communicate easily. Carta has served 500000 businesses with their desktop software inFlow. It helps you to track your stock in real time. Admin can get notified for low inventory. You can add products manually, or import directly from a CSV file. It supports barcodes, to quickly and accurately add new products by simply plugging a barcode scanner into your computer. Get a variety of pre-built reports based on real-time data. It supports multiple currencies, locations, taxes, and users. The pricing plan starts at $25 per month. It offers free email and phone support. 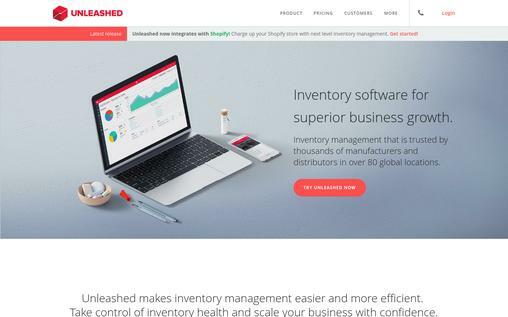 Unleashed is an online inventory management software better suited for medium to large size business. You can access Unleashed from any part of the world to manage your inventory, purchase, sales, production, and customers. It’s a perfect inventory management solution for retailers, wholesalers, and manufacturers. Keep track of stock across multiple locations and warehouses. It integrates with Xero accounting and Magento eCommerce platform to create a comprehensive solution for your business. Sync stock across all sales channels. It offers inventory control and reporting in real time. Its Mobile Sales App gives you inventory information on your iPhone, it’s perfect for business on the go. You can take your business global with the multi-currency feature. Managing inventory is a laborious process that takes a lot of effort and time, but with inventory management software it can be easily and accurately done. It helps you to focus on the growth of your business without worrying about the inventory part. So go ahead and select the one that best suits your business.